Despite remarkable advances in detection and treatment of colorectal cancer, it remains the second-largest cause of cancer mortality in the United States. This statistic looms despite the fact that colorectal cancer is one of the most treatable cancers there is because early detection, thus cure, is entirely possible. What makes this unique among the other cancers for which we have screening tools is that prevention is also possible. This is because we can identify and remove premalignant lesions before they become cancer. So what accounts for the stark contrast between this grim statistic and our known ability to prevent, detect and cure this cancer? Lack of screening. The most common signs and symptoms of early colon cancer are — nothing at all. 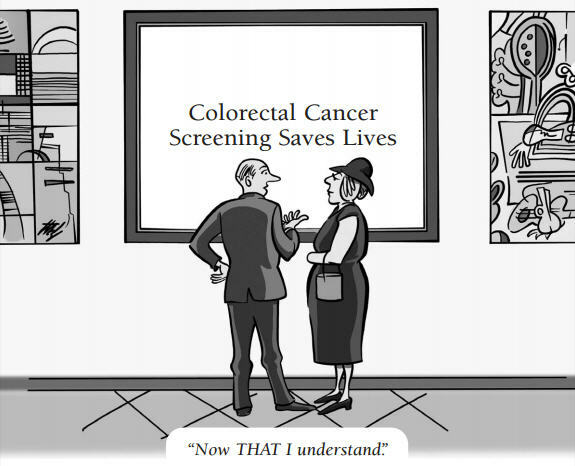 That’s why we so strongly recommend screening for colorectal cancer. Current guidelines recommend colorectal cancer screening for adults between the age of 50 and 75. This may start earlier for those at higher risk (family history of colorectal cancer, chronic inflammatory bowel disease, polyposis syndromes or patients of African-American descent). After the age of 75, we recommend screening on an individual basis. There are a variety of recommended screening tests. The gold standard is the colonoscopy, which provides both screening and prevention. Not only can it detect early stage cancers, but also precancerous lesions called polyps, can be removed to potentially prevent a cancer from developing.